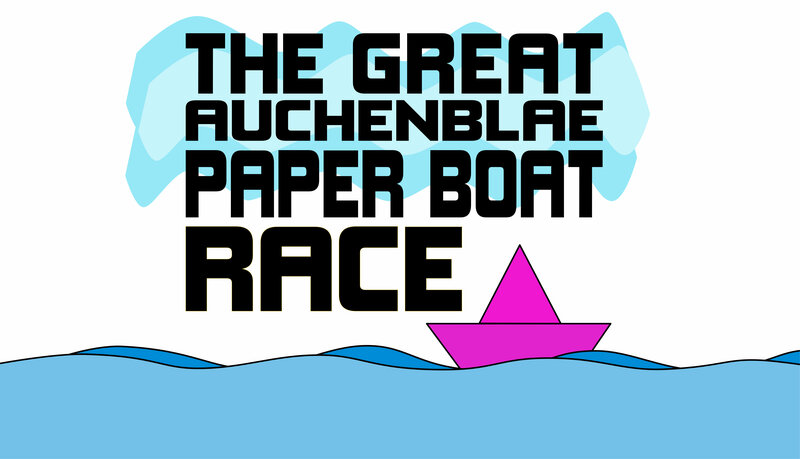 The First Great Auchenblae Paper Boat Race is to be held on Sat May 26th during Auchenblae’s annual Gala Day. It is open to all entrants young and old, family teams etc and we hope it will add to the great family fun day that is Auchenblae Gala Day. The race will be run on the burn between the pavilion and the footbridge a course length of 90 metres. Races will be in heats of 5 boats with the winner going through to the next heat. Boats are to be made of paper or card and can be a traditional folded paper boat or a sophisticated paper paddle steamer just as long as they meet the required build and size restriction outlined in the race rules.